Whether you are using any different CMS platform for your business or an older version of Sitefinity, the prime key to unlocking your website’s full potential is to keep your software updated and run the latest version of the software. Migrating to the latest version or a new platform can often be time consuming if not done properly by experts. If you have a Sitefinity based website, you can hire a Sitefinity development company to get easily through this job. Since they are experts, they have great idea about the infrastructure and can easily handle the problems if any that crop up during the migration process. Though the process may involve some considerable time, it brings great advantages with it. Every new version of Sitefinity comes up with the latest features that are improved from the previous version. So when you choose the latest release, it ensures that the software gives you the best experience for digital marketing and content management. Sitefinity brings new improvements for the marketers and also content editors. On the other hand, the developers also enjoy the latest extensions and improved error logging that allows them to work more efficiently from building to maintaining GDPR websites. Addressing the GDPR policies will no more become an obstacle for Sitefinity developers and users. Why Is It Important to Make Your Sitefinity Website GDPR Compliant Before 25th May? Sitefinity developers are aware about how precious your time is and for this they work on saving the users’ time. 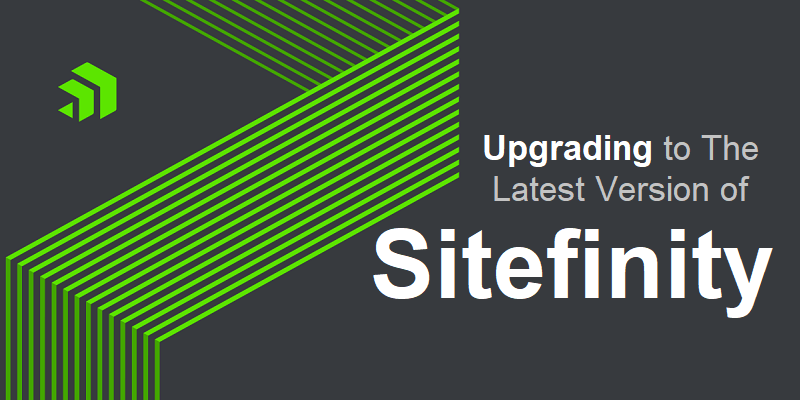 Upgrading to the latest version of Sitefinity helps you to optimize your site and improve the performance. The pages load fasters as the Roslyn complier is in use and this also optimizes the dynamic compilation of templates and pages. Every new version of Sitefinity comes with a variety of security improvements and fixes which is identified with a static code analysis. Updating to the latest version assures that your website does not have any security flaws and is not vulnerable to data breaches or unauthorized access. The new versions often come up with more secure authentication systems and also new HTML sanitizers that ensure HTML content. Shifting to the new version of Sitefinity also helps you with improved customer experience. Easy content management and personalized content for the audiences help to meet unique market needs. Navigating the site becomes easier and the visitors also find it easy to derive information that they are exactly looking for. They can browse products, visualize their space and get much more information that helps them to take better decisions. Newer versions of Sitefinity make all this possible in a way that wasn’t possible previously. Why Choose Sitefinity for Your Business? Hi very good post, Thanks for sharing.